The Christmas season is on! 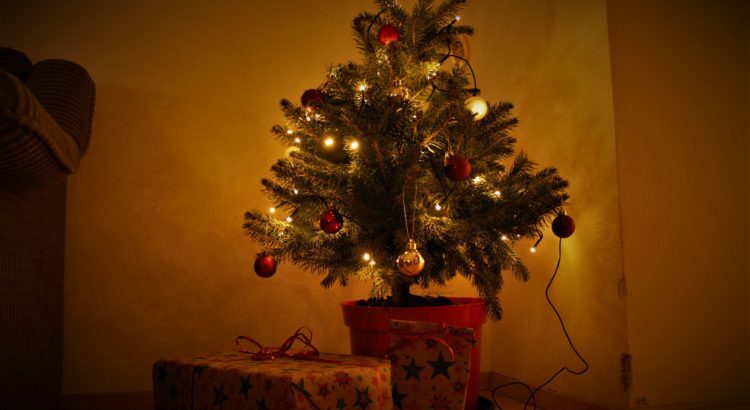 For some of us the most wonderful time of the year – for others the most stressful. Many of us are visiting our families back home for Christmas and rack our brains on what the right thing to bring might be. Shops all around town advertise Bohemian Glass, Beer and Slivovice en masse. However, after bringing them back with you after a few Christmases, your family might be duly equipped with these Czech Classics – especially when the country has so much more to offer! 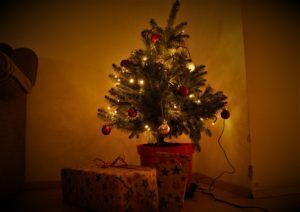 This season, bring home some original and very Czech Presents to surprise your loved ones with! Whether you are a Christmas lover or a stressed out significant other on present hunt; we got you covered with these Original Christmas Gift Ideas. So you can bring home a taste of Prague and Czech Republic this Christmas. Is one of your loved ones super organised – or always late for gatherings? Skoba has the perfect gift for planning talents and those who should up their organising skills. 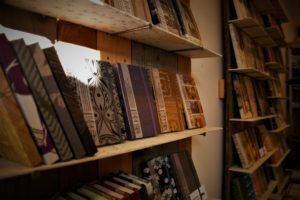 With beautifully handmade notebooks, Skoba is bound to make this Christmas surprise a ‘well-planned’ one! 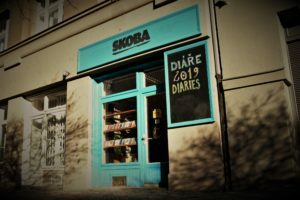 The cute little Shop in Vinohrady not only produces beautifully crafted agendas and diaries; they also do workshops on how to make your very own one, too! Skoba’s motto is ‘love and work’ and you will find yourself surrounded by proof of them loving their work. Skoba uses only ecologically friendly and recycled materials. With your purchase you are also supporting a great workplace for people with special needs! 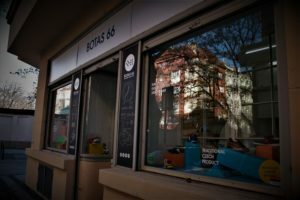 Botas 66 started out in 2008 as a school project. The two founders were inspired by the iconic “Botas Classic” model, which was launched in 1966 by the Czechoslovakian company Botana. 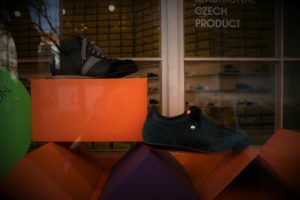 The model not only inspired two creative heads – it also let the word “botasky” – as a reference to a sport shoe – pop up in Czech dictionaries. What started as a project became an institution and not only got fairly popular, they also were pronounced Czech producer of the year in 2009. And their shoes hold what they promise: Comfortable, stylish and a hundred percent manufactured in Czech Republic! Whether you are looking for some sneakers for color loving people or ones that prefer classy and oldschool two colored shoes – Botas 66 holds the perfect pair for under the Christmas tree! Czech Originality at its best! In their small shop in Letná, the team of Kuráž showcases the best of what Czech & Slovak artists, jewelers and talents produce. 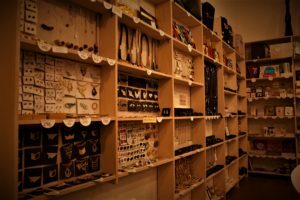 Whether you are looking for a nice bracelet, printed bags or a funny gadget, Kuráž provides you with plenty ideas come to live and lovingly handmade Czech pieces. They say ‘Diamonds are a girl’s best friend’. Kuráž however proves that it is not only diamonds that make a girl’s heart skip a beat. Carefully crafted pieces from wood and metal make just as good of a – if not a better – companion! One of the featured artists also found a more exciting way of showcasing one of the most bought gifts: Bohemian Crystal. We especially liked the wearable mini maps of different cities and areas of Prague in the form of rings and bracelets. An unique and beautiful piece to put underneath the Christmas tree! Kuráž is the optimal place to go if you are looking to present something unique to your fashionista in your family or your better half. The Zero Waste trend started in California and has slowly made its way to Czech Republic in the past few years. This fact is not all too known and will surprise your family members and friends abroad for sure! This Christmas, pair the Zero Waste trend with a classic Czech pastry: The Štrúdl! With a few items and zero waste ingredients – available at stores like Bez Obalu – you create a original and classic Christmas gift and help the environment at the same time! You might be worried about transporting the Štrúdl’s components in due time – and flying with fresh goods is out of the question. This mixture however can travel in your suitcase and will not go bad if you prepare it right! How that is possible you ask? For the first of the two jars – the dough jar – simply mix the flour and salt together and decorate your jar with a classy piece of fabric (from a secondhand store)! The person that is being gifted the present simply adds 1 egg, 3 Tbsp Oil and 5 Tbsp warm water to mix the perfect dough. Now for the real work: The Apple Mix. Dice the apples, mix all ingredients together and fill into the mason jar. Be sure to sterilize the jar, lid and rubber band before usage – we do not want bacteria ruining your present! Fill the mix into the jars and place it in boiling water (the water should not cover the jar and the jars not touch each other). Boil for about 120 minutes. Et voilà! Your Apple Mix is ready and will stay fresh and yummy for several months without refrigerating! 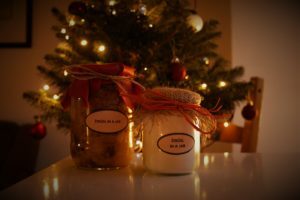 If you would like to give the present an extra kick, add self-made labels with instructions and ingredients to add by the receiving person – even though that might go a little against the Zero Waste idea. The perfect present for pastry lovers! 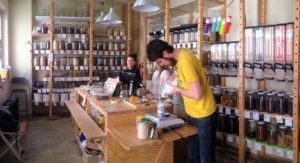 You can find all of the above listed ingredients in Bez Obalu or any bulk store around Prague – so you are sticking to the Zero Waste promise! Additional Information: The Strudl dough needs to rest 30 minutes before filling and the filled dough baked for 35 minutes on 200°. You have a bearded significant other to surprise this Christmas? How about a gift voucher for THE American Barber Shop in Prague? Beard care is heavily underestimated and even though the essential care can be done at home – going to a barber feels as good to a man as a visit to a nail salon does to a woman. With Kraig Casebiers knowledge and experience, the beard of your loved one will look as smooth and healthy as never before! In his Barber shop, your significant other will enjoy great care and experience what a real American Barber Shop is all about. A wonderful treat for bearded loved ones! The American Barber Shop offers a variety of services; so you are free to choose how much you would like to spend on the beard of your better half! With trendy clothes and edgy pieces, CVRK brings an important piece of Czech design into the house of your beloved ones. The label supports local artists that produce magnificent pieces, which make the perfect gift for the family back home! We especially liked the wonderful pieces of Time Wood and Gregiho dílna. 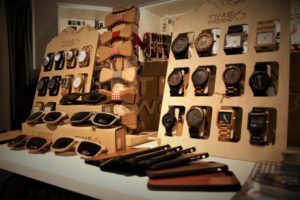 Both of the designers work with wood and carve watches, sunglasses, charms and bow ties from them. With 4 different locations around Prague, CVRK makes your Christmas shopping fairly easy – and different artists are featured in every shop. Between unique bracelets, edgy wear, handcrafted bags and more, you will definitely find the perfect piece for your loved ones. Got an explorer in the family? Why not send him or her on an adventure in Czech Republic then? Slevomat, an online provider for experiences of all sorts, lets you choose the next mission you are sending your loved ones on with just one simple click! Whether it is a weekend in a cottage in Krkonoše or for a wellness day after the hike in Karlovy Vary. Slevomat has the right adventure for everyone and every wallet. If you are sending one of your loved ones off to a hiking experience, why not make sure they are going to be warm, cozy and comfortable throughout their journey? Husky – a Czech Outdoor Company – has a wide assortment of Outdoor Clothing and Equipment that supplement your present perfectly. Here comes the cutest Christmas idea we found in the city: Ponožky od Babičky (Socks from Grannies). Yes, this is exactly what it sounds like! 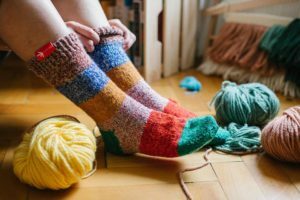 Czech grannies spread out in the country are knitting fabulous socks for you and your loved ones. Though usually socks might not be on everybody’s wish list, these original and unique pieces are bound to put a smile on the face of the presentee. And getting the present is as easy as a few clicks in their online-shop. You simply enter the size (they provide you with a size range) and just one click later a Granny in Czech Republic starts knitting! A very unique and Czech present made with lots of love. The socks come with a note of who knitted the socks – and you can read the story of the Granny that made your pair of socks on Elpidas website. Not only do they keep you exceptionally warm, you are also doing a good deed with your purchase. The socks are made from donated clusters and recycled materials. You got an art lover in the family? No problem! Prague is full of talents that are presenting and selling their art! Especially because Prague has a very vivid underground art scene, a painting, sculpture or CD might just be the perfect piece to put under the Christmas tree! 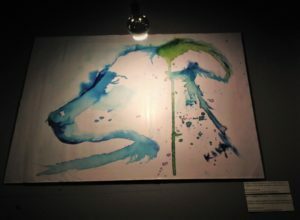 Places like Žižkovšiška, Art Together or LifeIsOurs display art are your places to go to find the perfect art treasure! 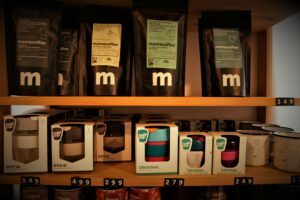 Though it is often Berlin that is named the Specialty Coffee capital, Prague has stepped up its coffee game – especially in the last few years. By now, Specialty Coffee Houses, Roasteries & Stores are a big part of Prague’s city life – making our days and also the Christmas of your beloved ones better! You have a coffee lover in the family? Then why not surprise them with Filter or Espresso Beans from one of Czech Republic’s roasteries such as Project Fox or Nordbeans? And in order to let them prepare their perfect cup, why not add a V60, Chemex or an Aeropress which you can get in places like Mamacoffee, Barry Higgels or Supertramp? 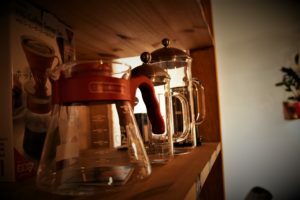 Of course, the staff in the coffee houses are happy to help you out if you are not sure which utensil you should get for the coffee lover at home. And while you are there – why not treat yourself to a cup of expertly brewed coffee to make your Christmas shopping a little better? With the perfect coffee lovers package, you are bound to make a coffee addict at home happier than a bird with a french fry! Got your ideas together and your wish list written? Then it is time to celebrate with some eggnog or hot wine, lean back and enjoy the snowy days before the big day! Merry Christmas! Do you have other original gift ideas you want to share with others? Are you done with your Christmas shopping and want to help others with some inputs? Tell us all about it in the comments! I need to implement this guide on my self……………..